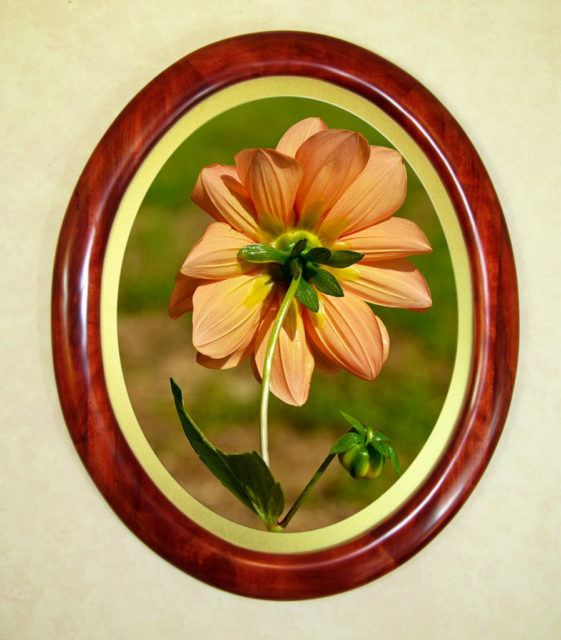 Shown with a 45 degree angle on both inside and outside, this frame also features a yellow tone stain on the high center. The effect is great!This is available for other colors as well. 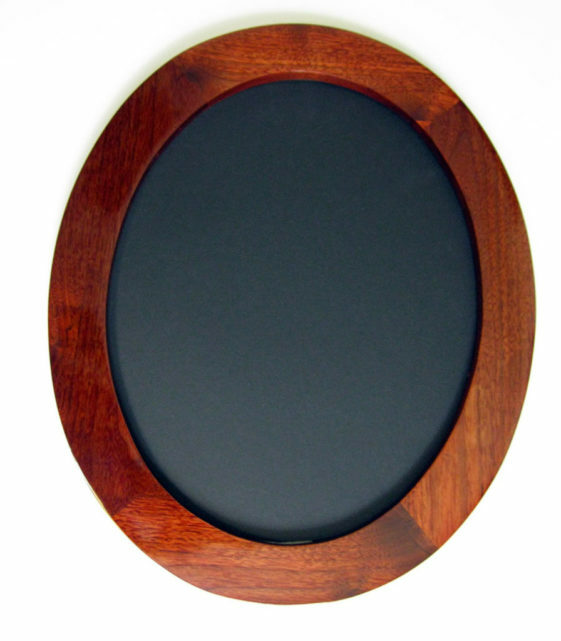 This striking item is actually made with two frames with a cloth insert. You can specify the color insert to match your decor. We offer most colors in the spectrum. Although red doesn’t fit every decor, there are many applications where it is needed. The bold red color certainly stands out. 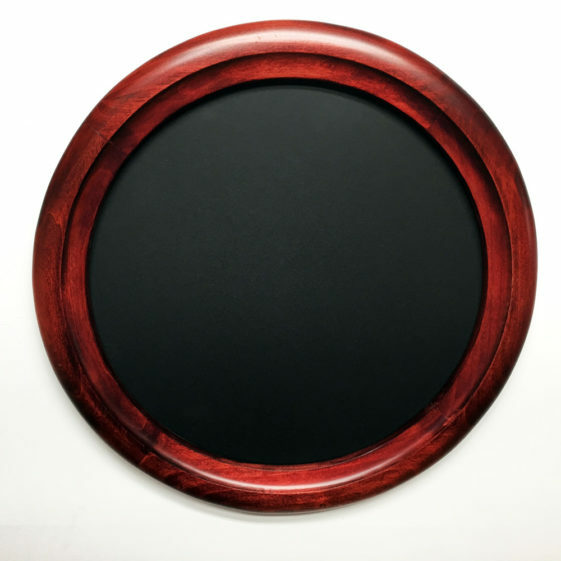 This picture frame features our “Small Outside Cove” profile in a red color so deep, it looks as though you could jump into it. 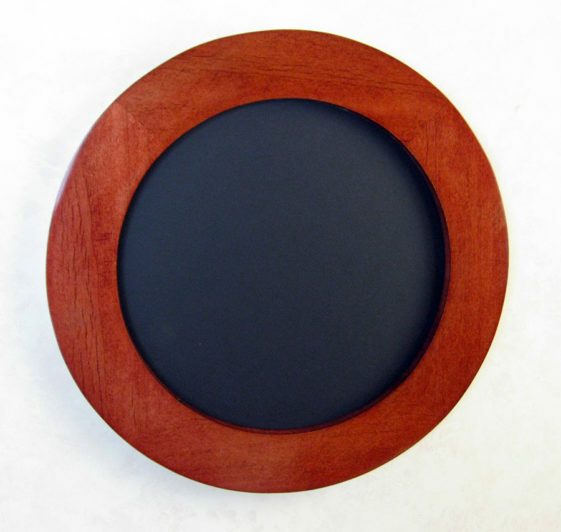 Perfect for an accent anywhere in your home or office. 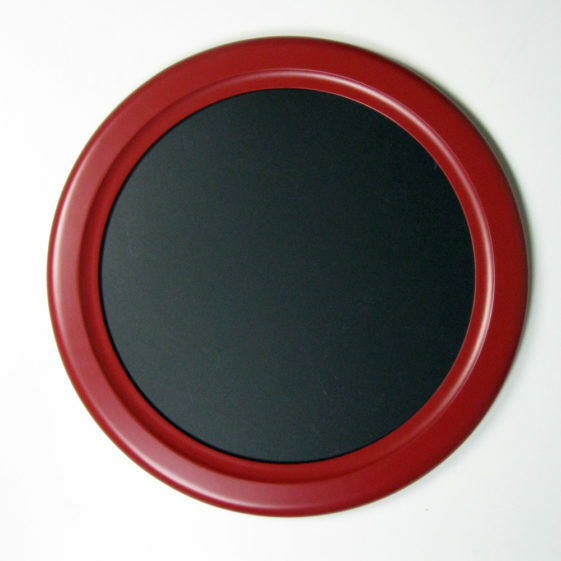 Shown with a Wide Profile and Small Outside Cove, the red color is not as intense as most of our other examples. 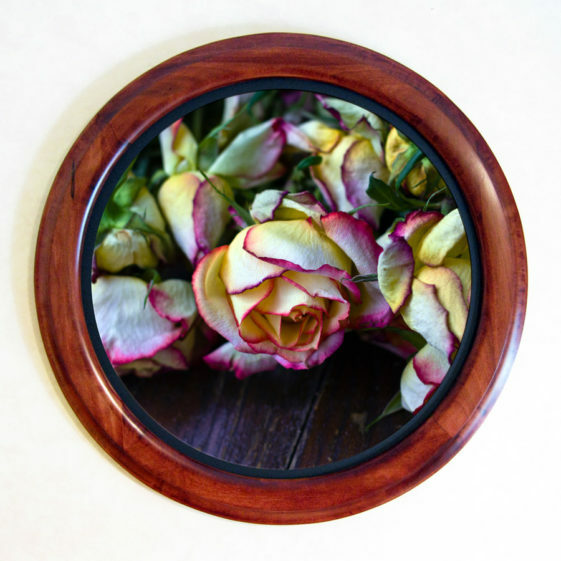 A bold frame and subtle red-brown color that would match almost any room. 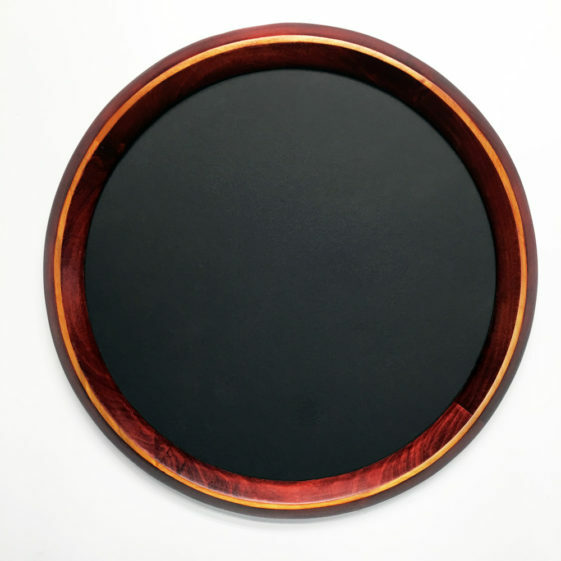 We’ve made round frames as small as 2 inches and as big as 6 feet. 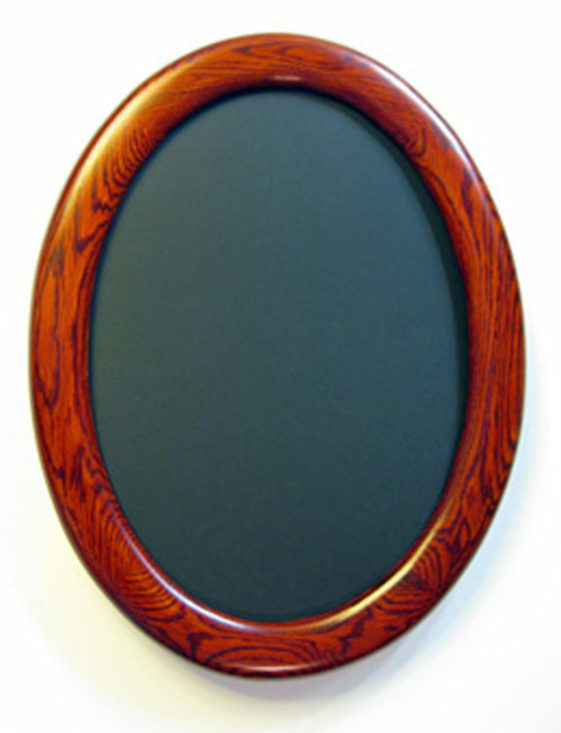 Picture frames big and small, we can build them! 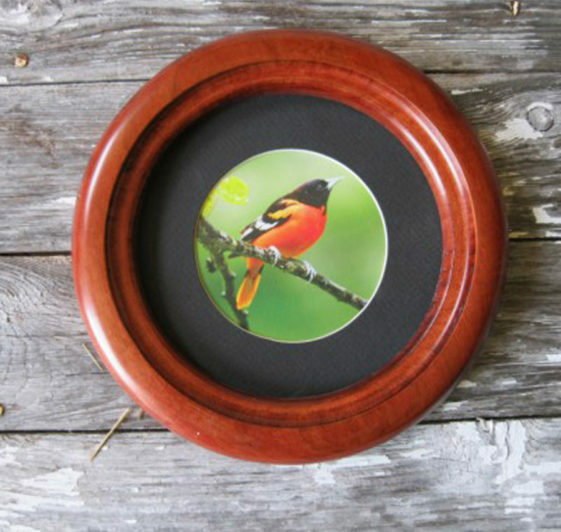 Add a splash of intense gold matting to really bring your artwork to life. 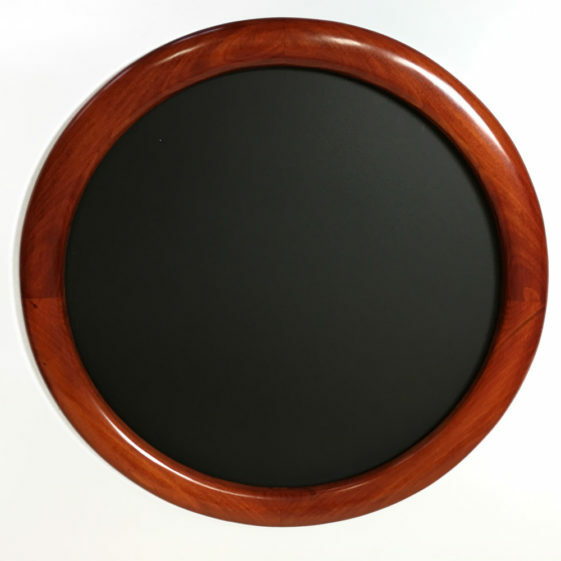 Oak Round Frame featuring our “Narrow Traditional” profile with Round Matting. 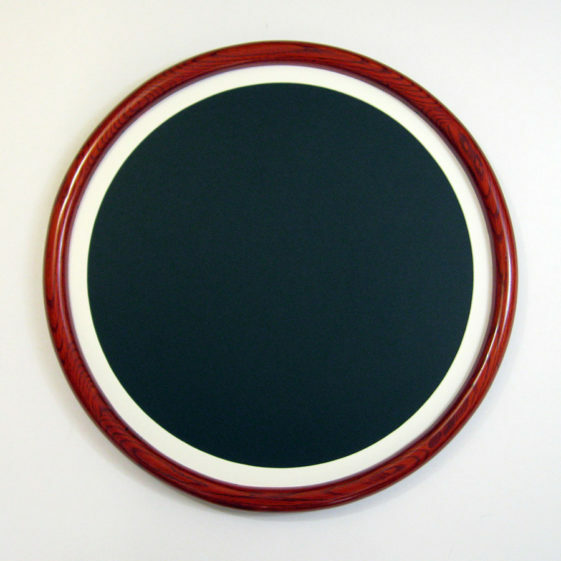 Our Round and Oval Matting selection offers you hundreds of colors to choose from. 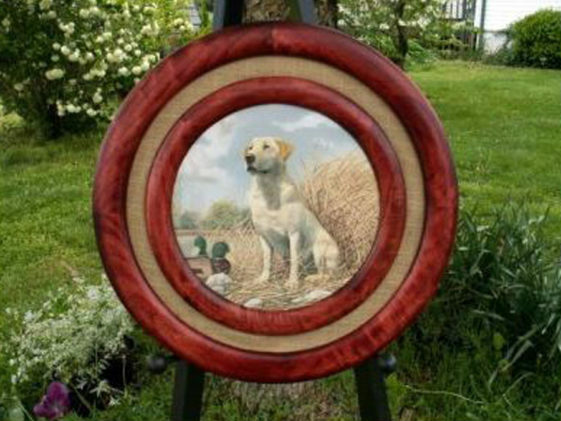 Round Picture Frame stained Red, shown with our “Gallery” profile Our Red Stain is very deep and always makes a statement. 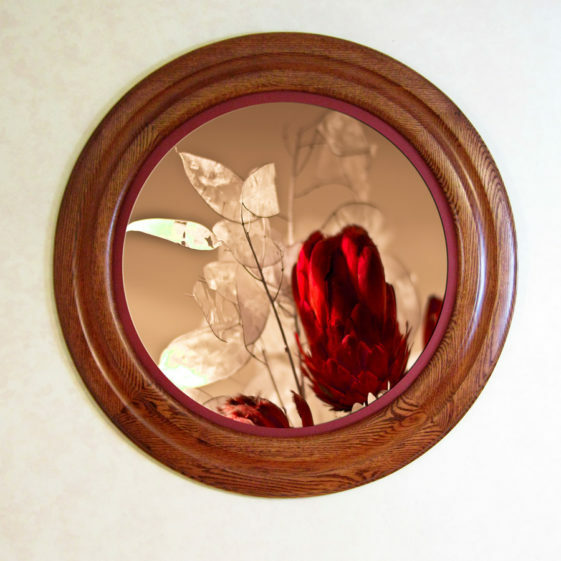 Walnut Oval Picture Frame, stained Red and shown with our “Gallery” profile. 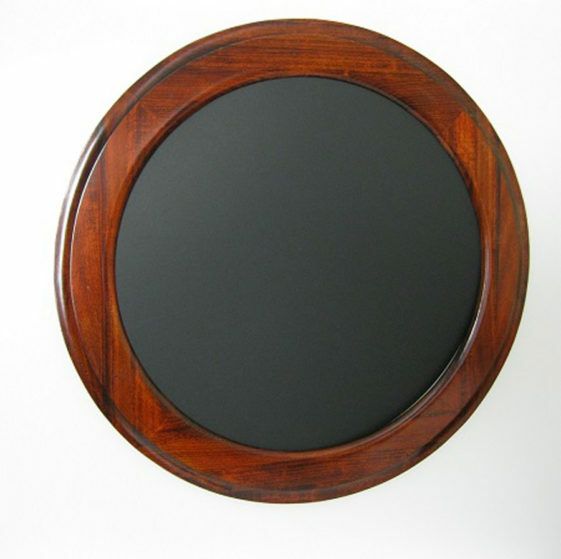 Walnut is naturally Brown, but has a total different appearance when stained Red.